Focus on your next QB. I don’t care if he sits all year and first contribute. Use your 2nd round pick to get your Tackle or Edge. And use a tone of 4th and 5th round picks to add defense and debth to your lines. Get some undrafted kids in here and let them compete all year and reassess. Begin? Hell, i feel like that's all we been doing since the merger. You're a great poster Laz, but your argument made more sense last year. If they do go QB I hope it's Haskins, I like pocket passes, I like accuracy. But I still think this is the year we may trade down and get the position player we want at number 10. Well there I did it, thought I'd say it one more time, but I'm going to go wash my mouth out with Dawn dishwasher soap. If I ever comment on this again I'll give myself a double dose and swallow it next time. If there is no plan to take QB at 6 then yes trade down. But Gettleman has never traded down and gained picks only up and lost picks. As a matter of fact. Gettleman with the Panthers I don’t believe ever had all 7 of his picks. He always trades up burning picks. He usually finishes with 5 or 6 selections. Agree but some areas we have to have a plan. Are needs are all over the field but I would say QB, RT and Edge pass rusher are the big 3. Then Safety, LB and CB. I know Lock came out of the North West game with increased status, but I'v seen enough "cannon arms" for awhile. I think Mayfield reinforces the priorities, accuracy and the ability to anticipate and throw your guy open. We cut a guy named Webb who had a cannon and height. Don't like Murray, would never take a chance on a hundred and ninety lbs at anything but place kicking. Don't know enough about Jones but if the East West game helped Lock it hurt Jones. Here's the point: it's likely superfluous. The decision was made last year. You need every position player you can steal, draft or kidnap. Because now you have to win in the immidiate ether called real time. They made that decison when they drafted Saquon; they cast it in marble when the signed OBJ; they moved it to gold when Eli averaged 27 pts. after the bye.. You cant wait the two years or so it takes to develop a QB, not with OBJ going into year five and accumulating Johnson and Johnson awards. And for all the rants here, I don't think we're that far away. I love the comment: "we have a lot of holes", so does cheesecloth but it works. Every team has holes. The brilliance of OBJ and Saquon is like Bars Radiator Stop Leak. "A man hears what he wants to hear and disregards the rest" Paul Simon. We sift through rubbish like selective magnets, forsake objectivity for predispositions and I pulled out the Indy game: No OBJ, on the road, a good playoff team fighting for their lives. We scored on them, we scored without OBJ (at least that's the way I remember it). We were shut out by Tenn the week before (that's the one I want to selectively discount) but our last two games were against playoff teams and we lost by two points. I try to answer every declaration when I'm in a discussion (except for one poster when I want to squeeze an Adam's Apple) but why is it so easy (mandatory?) to discount after the break or, even more specifically, the last two games. The Chic. defense was highly rated and we moved the ball on them too. So here's the queston: with a bad line (and no OBJ for the last four) we were the fifth highest score team in the league (after the break). That's with Pulley/Greco, Brown and Wheeler. C'mon, Smallvile high has a better right side. A healthy OBJ, moderately capable professions, anticipated growth with Mr. Barkely, pre season instead of post season introductions ("Mr. Pulley this is Mr. Brown we just pulled you bums off waiver wires, suit up you're starting tommorrow, don't worry about Eli's hut hut just listen for "Omaha, Ohmaha , we don't know what it means either") and another year in the new system. Yet everyone says "oh my goodness, we are years and thirty four offensive tackles away". Nonsense, maybe not "certainly so", but easily more "likely so" than not. You're all nuts. The offense is close. The defense suffered. I've never seen anything like it. JJP, Cromartie, Harrison, Apple, and they changed schemes. it wasn't just pulling out superb players, it had to be about the internal turmoil going on. I'm easy, I've liked all our defensive Coordinators including some of the maligned ones. But I really like this guy. Hernandez and Barkley last year in the first two rounds, give me fifty percent of that this year for the defense, bring Beal back, give me one more starter with the multiple picks rounds four through forever. Let Vernon and Collins have good years. OK that's a lot to ask for. But doesn't every team have "alot to ask for?". Doesn't every team (NE Excepted) have to have a lot go right? And how about the alternatives? You nihilists act as if Hasking/Long are sure things. They are not. I'd put their bust potential at probably higher than 25%. And if everything goes well with them and they're Sammy Baugh and Randall Cummingham in one body, what then? If they're good that's still not a guarantee they'll compete. OBJ might be washed up in two years and on the books for 15 million, or any of another of a draconian nightmares. You guys rap the alternatives to what you think it should be and pass along the assumption that Darnold/ Haskins/ Jones/ Longs are sure things. Here's what sure, I have OBJ and Saquon and Evan E. (just made somebody happy) for next year, the Giants are obligated to go all out...NOW!!!! and have no future at the QB position . then what are you going to do ? Extend Eli ? Put all your hope in the 2020 draft ? How does anyone know they would be in position to draft the future QB? , to miss the playoffs 2 years in a row ? That is a disaster , and a fireable offense for the GM . is like a MLB team being out of it July, and emphasizing the results in Sept .
"Back to the offseason let the arguments begin state of Giant"
There's no argument to be had. We're a 5-11 team - with a declining, 38 year-old QB - that passed on a quarterback of the future in order to "win now". So, why were we 5-11 despite being relatively-healthy? This team is two off-seasons away from being fully competitive. I would be happy if we landed an edge rusher, solid RT and one really good secondary piece. Maybe we put together enough spare parts to be on the edge of a playoff birth in 2019. I'm not counting on that. If we go QB in the draft....fine. My expectations are very low.....and we don't have the cap space to be super aggressive. It is very funny when we as fans start to think we can evaluate QB talent at any level. Which leads me to believe that we can find a good replacement in this years draft class. And have as much a chance if we rolled the dice last year or we wait until next year. What Mara did letting JR and crew run this team into the ground is a crime. We lost 5 years of a good QB in Eli (I didn't say Great) and its not in the cards anymore. Every fan wants to win so there is always the glimmer of hope. And just like the Bears, teams can go from last to first. We have some talent on O. We can resign Brown who is average at Guard or take a run at the draft. We get an OT that can actually block and we are looking OK on offense. I don't think Eli should be our QB anymore but we also don't have an answer. So 23M or not...we are stuck with him at least next year. Thats alot of players we need and if DG and team can hit on 3-4 impact players in the draft, we are lucky. MORE...and he gets a gold star. The goal is to be a legit title contender, a team that can win the division maybe get a bye. 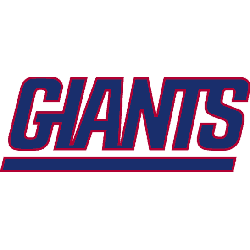 Are the giants close to that this year ? I can't see how . Not with the cap situation they are in, and the numerous holes on this team. The giants are stuck in the middle , the worst place to be.